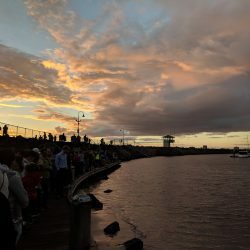 REASONS TO VISIT MELBOURNE, AUSTRALIA! 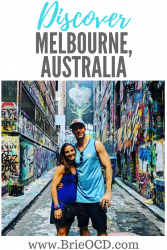 Melbourne (pronounced MelBIN) was our last stop in Australia and I have to say the best! At first, I have to admit, that I was completely missing “the charm” that everyone talked about. The public transport from the airport wasn’t easy (or fast) and the city looked a little dingy (at first!). Then as the days wore on, the lenses that I looked through became clear. I started to feel the buzz of the city and appreciate the coziness of the neighborhoods. I started to see what everyone talked about when they say that Melbourne has character, because boy, it has a ton! The food is AMAZING, the bars, restaurants and shops are plentiful and people’s enthusiasm for life (and enjoying the scene) is insatiable. 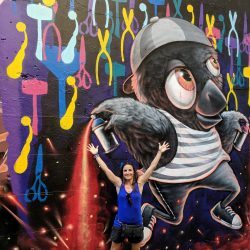 The art scene is eclectic and FUN (Hosier Lane – my fav!!!) and there is something to do, see and eat at all times! Just like Sydney and Cairns, it is expensive (think about it, they basically need to import everything!) however you don’t tip in Australia so that balances things out a bit. Like Sydney, WIFI is everywhere so while you don’t need an international phone plan, having one person with one does help when you are in a crunch. 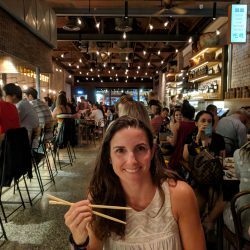 We stayed at an Airbnb in Windsor and while I would NOT recommend staying at the apartment we stayed in, I do think Windsor was a great central place to stay AND Chapel Street has so many amazing restaurants (more on those below). 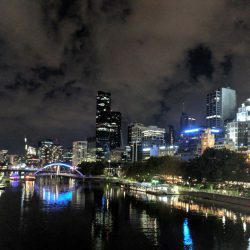 I fell in love with the CBD (Central Business District) area and even though I am not a city person I would consider staying there as well because it is always poppin’ off and is also the tram hub. You can get anywhere! As soon as the afternoon strikes in Melbourne, the bars and restaurants are bumpin! Melbourne peeps know how to kick back and relax with a pint (or four). There are people out and about drinking and eating all the time. So needless to say there is a ton of nightlife here and so many cool spots to hang out in. BEER: Most of the delicious beers that I had in Cairns and Sydney came from Victoria! Needless to say Melbourne had a great selection and a ton of breweries. There was actually a beer festival happening outside of the museum when we were there! Furphy and Carlton Draught are their most popular. Carlton Draught is very lagery but Furphy was quite tasty! WINE: The house wine was mostly New Zealand Sauvignon blanc, which I love so I didn’t mind one bit!! 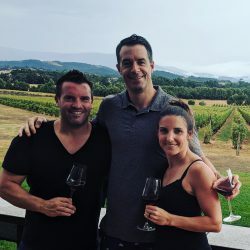 You can buy bottles of wine at any bottle shop but it is much cheaper to go to a place like Dan Murphy’s or Liquorland. COFFEE: Unlike Sydney, Melbourne didn’t have Ice Cream Iced Coffees (waaah!) but the lattes were still good. Just like Sydney they need to step up their to-go cup game. So tiny! To get around Melbourne you can take UBER, the bus, tram or train. We mostly took the train and tram. 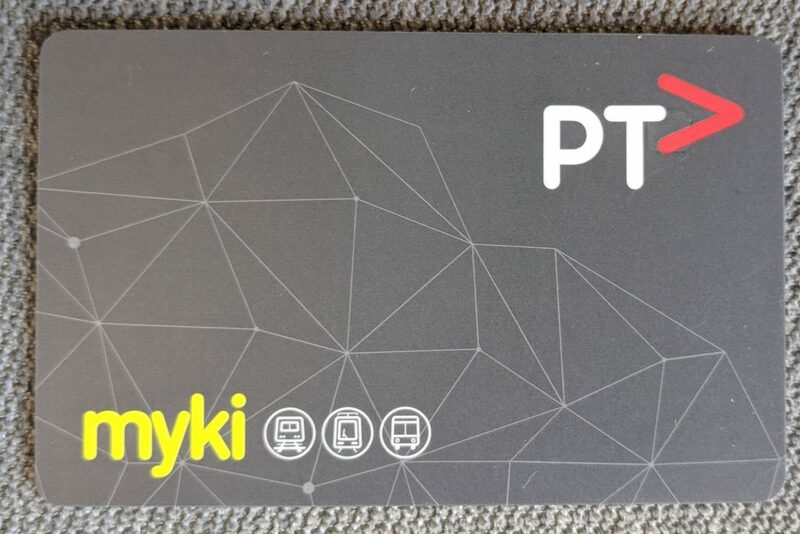 To utilize public transport you will need to buy a Myki card. You can purchase one for 6AUD at the airport near baggage claim or at a bunch of the main stops. I recommend loading it with $20 to start and then “topping off” as you need it. In the CBD there is the free tram zone which is nice! Outside of the free tram zone, a standard fare will run you anywhere from $2.15AUD to $4.30AUD. TRANSPORT TO/FROM AIRPORT: I am all about saving money and using public transport HOWEVER when traveling to/from the airport to your hotel/Airbnb (unless you are staying in the CBD) I highly suggest getting an UBER. It costs about $50AUD (depending on where you are staying). 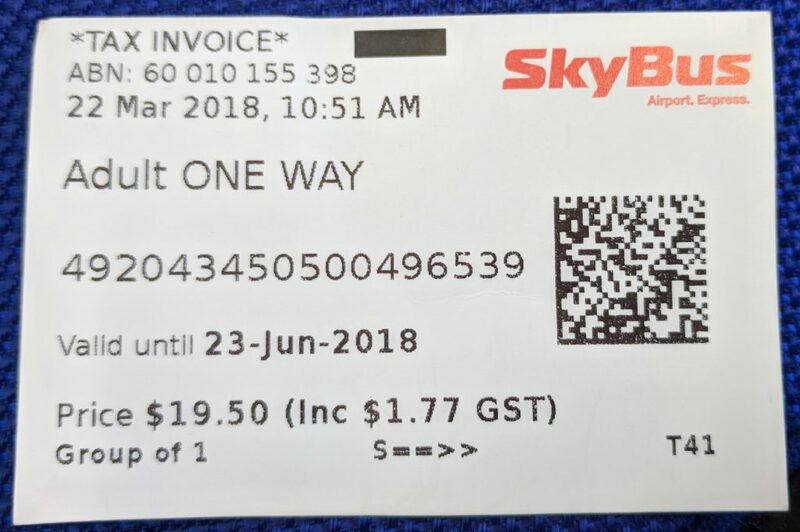 If you travel from the airport via public transport, you have to buy a Skybus pass AND a Myki card and it will cost you about $25AUD per person and it takes forever. The main hub train station is also confusing when you first arrive. Take the UBER and spare yourself the aggravation! If you are staying in the CBD then buy the Skybus pass for $20AUD because it drops you off in the heart of the CBD. 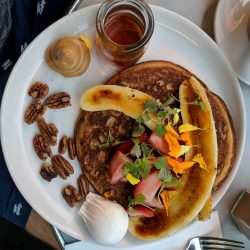 Journeyman – Windsor – I got the eggs benedict which was just ok. Do NOT get it with bbq sauce. The waiter convinced me I would love it and I HATED it. However, redemption ahead… Hancy got the protein pancake with grilled bananas and peanut butter. O. M. GEEEEEEE. I want to go back right now and get this! PB and banana is my jam. Why in the world I didn’t order this is beyond me. Go and get it … now! 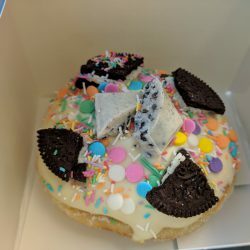 Bistro Morgan Donut Shop – Windsor – These looked so pretty and fun! They tasted ok. It was piled high with hard frosting and candy but semi tasteless. The bottom part of the actual donut was actually tasty but my recommendation is to look but don’t touch. Lucky Coq – Windsor – stop in for a drink and head upstairs to see the locals jamming out. There were some interesting characters here. The pizzas are cheap and looked decent if you are looking for some late night eats. Amici – Windsor – This was our first stop while waiting to get into our Airbnb. Beer was good! 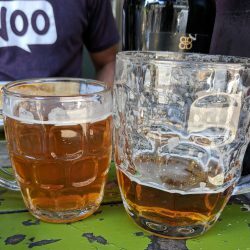 Order the pint, the pot is tiny! Food was just Ok. They had these things called Parma’s (think chicken parmesan). It was actually pretty good but we later figured out that many places had them. I say skip this joint! 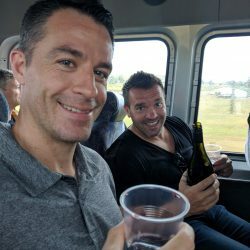 The Wolf and I – Windsor – I wouldn’t come to Windsor just for the Wolf and I but if you’re in the hood stop in for a beer or two! Fairly good prices! 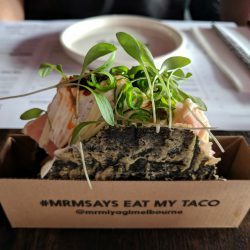 Mr Miyagi – Windsor – Salmon Nori Taco. Enough said. Get it. You will not be disappointed. In fact you might be mad at me because you will be daydreaming about this taco for months. 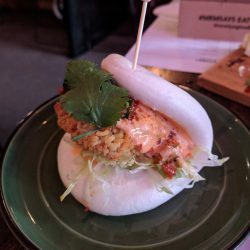 For $97AUD, we also got the Schnitty Bao (ramen coated chicken schnitzel in a bao bun), Corn ball (this was just ok), shrimp/ginger dumplings (really good, comparable to Hawker Hall), a Hand Roll (chef’s choice and changes daily) and 2 glasses of wine. This is a can’t miss place. They only accept reservations for 8 or more, so get there early! Hanoi Hannah – Windsor – This place was right by our apartment and always packed (its not large). We finally stopped by there on our last night and it was DELICIOUS. I would say this is another can’t miss place!! It cost us $88AUD for 4 glasses of wine and 4 plates. 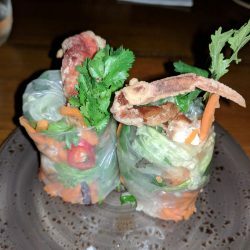 We got the Yellowtail sashimi roll (great but not my fav), soft shell crab roll (FANTASTIC), vegetable spring rolls and chargrilled sticky pork with pineapple on vermicelli (this was delicious and had these pork rinds in it that I wouldn’t normally eat but were phenomenal). All of the staff were so nice. Molly (one of the waitresses) actually sat down with us and went through the whole menu suggesting items. I had a glass of the reisling upon her insistence (I don’t like riesling) and it was delicious. She had me taste their sauv blanc (which is what I was trying to order) and it wasn’t good. Everything she said was spot on! Cool vibe and cozy ambiance on the inside. I would eat here again and again!! 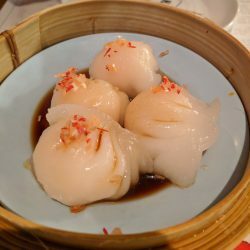 Hawker Hall – Windsor – Singapore and Malaysian food. Really good and nice to step outside of my usual comfort food zone. Cool ambiance inside. Live DJ and set up like a cafeteria hall. Cost us about $90AUD for 3 good size plates and 3 glasses of wine. Boston Sub Speakeasy – Windsor – Hancy became obsessed with Speakeasies after The Soda Factory in Sydney. He found this one online and we were skeptical when we rolled up. It was literally a sub shop! Hancy walked in like he owned the place, opened the refrigerator door and was immediately stopped. 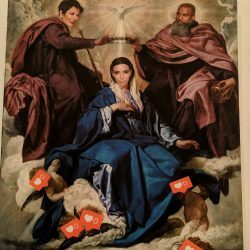 I’m like ooohhh snap! He was stopped because there was a line! You can drink beers and eat a sub while you wait. It took us about 25 minutes to get in and it was worth it. Flaming specialty drinks and an intimate setting. A wee bit hot inside because you are basically in a small back room but worth a trip for a drink (or two). 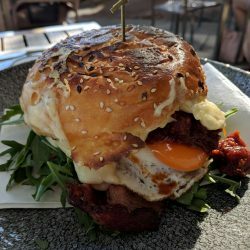 Fitzrovia – St. Kilda – Breakfast! 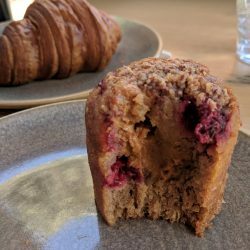 Friands and pastries and breakfast oh my! We sat outside to people watch but the inside is super cute and the food was delicious! 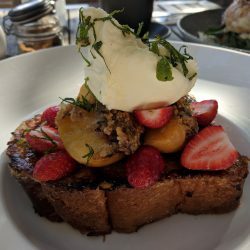 We split the bacon, egg and cheese on a brioche bun with their special jam and the Creme brulee french toast with apricots, strawberries and mascarpone cream. We took pastries to go on two different occasions and they were delicious as well. This is a can’t miss breakfast spot! (a couple doors down from Milk the Cow). 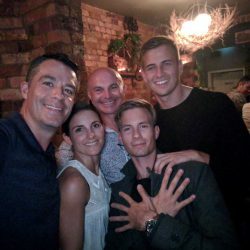 Freddy Wimpoles – St. Kilda – Cool vibe, hunting decor and happy hour! Stop here for a drink or two on your way back from St Kilda! Proud Mary – Collingwood – This is where I learned what a Friand was! (denser muffin). Stop by for coffee and a friand! You will not be disappointed! 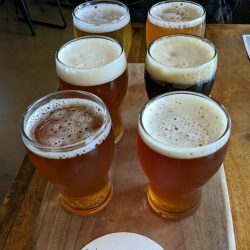 Craft and Co – Collingwood – stop by for a bite to eat and a flight of Australian craft beer. The standard set of 6 tasters will run you $20AUD OR you can pick any 6 tasters you want and pay $25AUD. 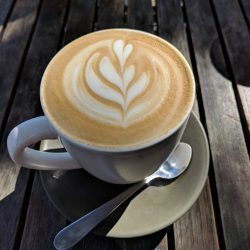 They are generous pours! Split with a friend and then order another pint of your favorite. 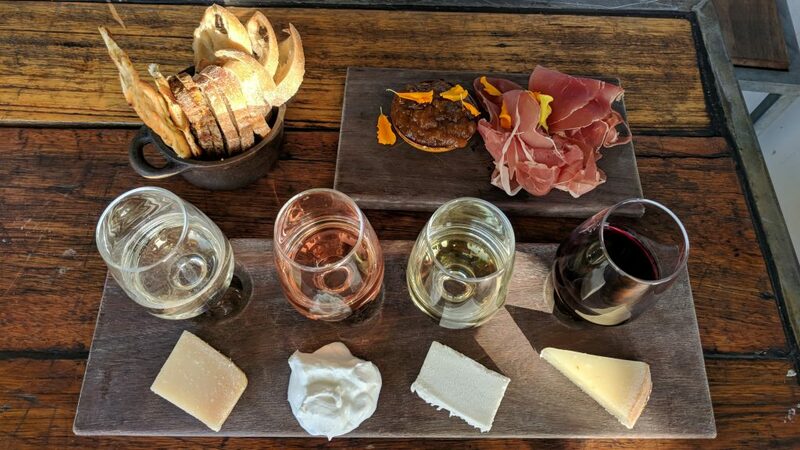 Fun Fact: They produce their own beer, wine and spirits, cheese, salami, sausages, bread and crackers in house. Def worth the trip! 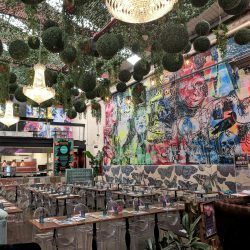 Fitzroy Social – Fitzroy – This place just oozes cool. It is huge and the decor is phenomenal. We came here to eat (and drink) but the place was nearly empty. I thought to myself … this place can’t be that if it’s empty, right? So we had a drink, took some photos and headed to Los Hermanos taco shop (below). Definitely stop in to Fitzroy Social for a drink and a photo opp. 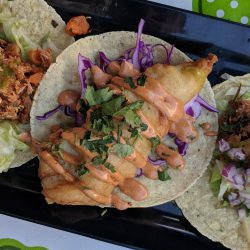 Little Hop presents Los Hermanos Taco Shop – Fitzroy – Coming from the mexican food capital I don’t usually order Mexican outside of San Diego. However we passed by this place on the way to Fitzroy Social and it looked delicious. IT WAS! We split the bean and cheese quesadilla (surprisingly my fav) and then each had our own Tacos (chicken, pork, beef and fish). Messina Gelato – Multiple Locations – Same Gelato chain as in Sydney and is the best Gelato in Australia, hands down. Nuttin To It was the special flavor (Peanut gelato with coffee custard crunch & white chocolate chip cookies) and it was DELICIOUS. Don’t mess around with other gelato shops, head to Messina! Beer Deluxe – CBD – outside bar right outside of the NGV. Great happy hour ($6AUD wine, $9AUD big beer) and cool vibe. Bar Boats – CBD – head over to the bar boats and have a drink right under the bridge. Cool views and how often can you say you went to a bar literally on the water?? 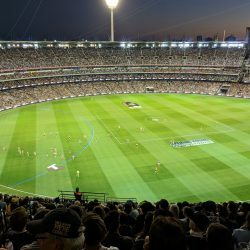 AFL Footy Game – MCG Cricket Grounds – If footy is in season, head to a game! Learn the rules while you eat a meat pie and drink a beer (or 4). The Australians order 4 beers at a time, all night! 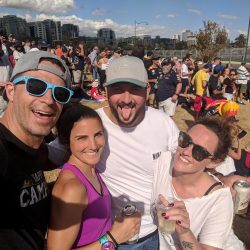 I talked to a local and they are “pissed” that they pay 9AUD for mid strength beer (They actually have mid and full strength designations there). The game was fun and the fans were awesome! 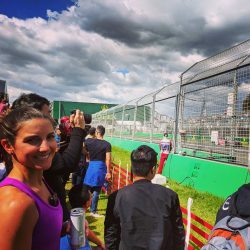 Melbourne Grand Prix – Every year it takes place in Melbourne sometime around March. 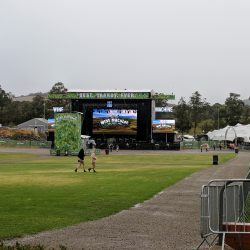 General admission tickets were a bit steep at $100AUD but I think worth it! There are so many areas to watch the action. Bring a blanket, buy a beer and watch the cars zoom by!! Fun Fact: the drivers have to pay to participate. Only the big wig stars actually make money driving race cars. Luna Park – St. Kilda – Just like in Sydney, Melbourne has their own Luna Park, amusement park. We didn’t go but if you have kids, it would be fun! St Kilda Penguins – St. Kilda – after sunset head to the end of the pier in St. Kilda and wait for all the penguins to come back home! 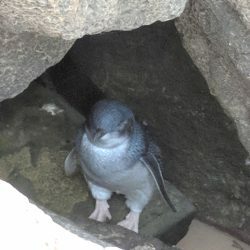 They literally just swim up and then go into the rocks. Fitzroy/Carlton/Treasury Gardens – Take a stroll through the gardens! We only strolled through Fitzroy because there was a huge flower convention going on at Carlton Gardens. Just a nice stroll though a park. Nothing crazy or to see except nature and all of its beauty! After the gardens walk over to the CBD and Hosier lane. Hosier Lane – CBD – Right near the NGV Museum in the CBD. Alleys filled with street art/graffiti. So so cool to see! Crown Hotel Casino – CBD – If you like to gamble head over to the Crown Hotel in the CBD. If you don’t like to gamble just take a stroll around and eat at their award winning restaurants (we didn’t). If you need a quick bite to eat, they also have two food courts that have a ton of selections (we did after a long day of wine tasting, lol). 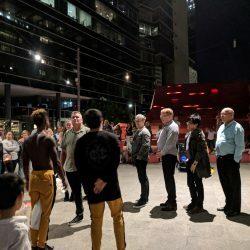 NGV Museum – CBD – Stroll around all of the exhibits. Most are free. We aren’t really museum people so we didn’t spend much time here. There is so much happening right in this area. CBD (Central Business District) – Also known as downtown to Americans. Head that way on the tram (it’s in the free tram zone) and just walk around and take in the buzzing city life. There are street fairs, concerts, live bands, beer festivals and more. The CBD is popping off at all times. I am not usually a downtown girl BUT I absolutely loved this area!! 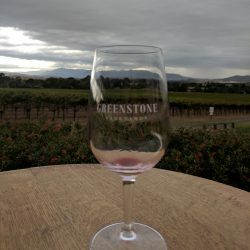 Greenstone – Picturesque and great cheese board. 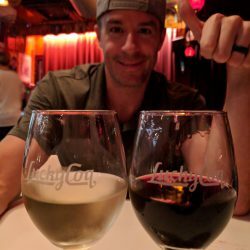 Wine was delicious but the lady talked too much and was stingy with the pours. 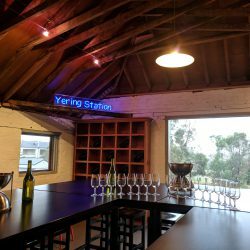 Yering Station – You get a private tasting upstairs and then you go down to the public tasting room and taste all of the Village and Estate wines for FREE! If you want to taste the reserve wines it costs an additional $15AUD but if you buy a bottle that gets absorbed into the bottle cost. They were much more generous here than at Greenstone lol. Rochford – the girl was generous here as well. We had lunch at this stop and it was delicious! They were all set up for a HUGE concert outside on the lawn. Seems like a happening place. Chandon – Champagne was delicious BUT not my preference after drinking wine all morning. I would’ve wanted to start here. 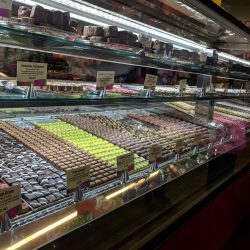 Yarra Valley Chocolaterie – we had a private tasting here and boy was it GOOD. Tasty and plentiful chocolate. The chocolate shop was packed with people (and kids on chocolate highs). They also have delicious Ice Cream for sale out front. Yarra Valley Dairy Farm – We didn’t get a chance to go here because they aren’t open for large groups on the weekend. 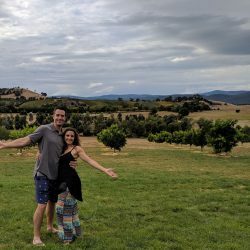 I would suggest going on the Yarra Valley Wine Tour during the week because this is one of the included stops. I have heard amazing things about YVD! 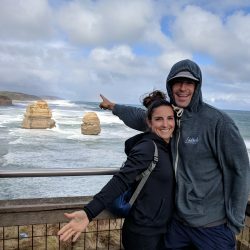 12 Apostles/Great Ocean Road – You can either take a guided tour or rent a car. We rented a car because we didn’t want to be herded for 12 hours with a group of strangers. It took us a little over 6 hours on the way there. 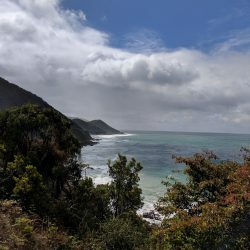 We took the scenic route along the coast and even though it was raining on and off, the views were phenomenal. We stopped for lunch at Annie’s Provedore in Barwon Head and it was good! However, I wouldn’t recommend going out of the way to go there for lunch. You could literally stop in any of the surfer towns along the way. The towns were all so cute – Torquay, Bells Beach (this is where the Rip Curl Pro Surfing Event was taking place 2 days after we were there), Aireys Inlet, Lorne, Apollo Bay etc. I am so glad we made the trek. The 12 Apostles were literally breathtaking. I didn’t know what to expect and words can’t begin to describe it. They are basically rock formations in the water but I’m telling you, there is just something AMAZING about it. To top it off, we saw a Wallaby and its Joey in the wildlife!!!! 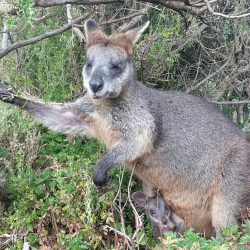 (VIDEO BELOW) How lucky are we, that not only did we see a wallaby (relative of the kangaroo) but we got to see the baby too?!?! We took the main route on the way home which was less than 3 hours. It was so worth it. Do it. Making friends at the Grand Prix! 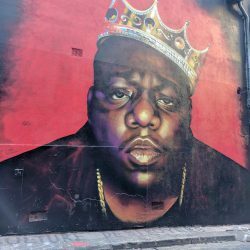 Street Art – They love biggie! 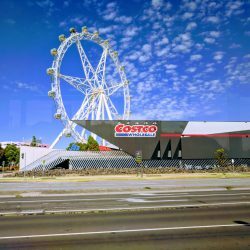 Costco in Melbourne?!?! It looks so purdy. Moral of the story is don’t judge a book by its cover. The outside of the restaurants and shops don’t look like anything impressive and then you step inside and it’s a totally different world. The culture, the art, the food…. 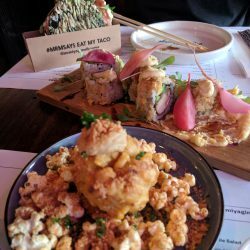 the list goes on and on for why you should go to Melbourne! So much to eat, see and do! 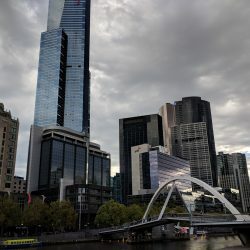 If you are planning a trip to Australia you CANNOT miss out on Melbourne!